Welcome to the official website of the Quittapahilla Audubon Society. 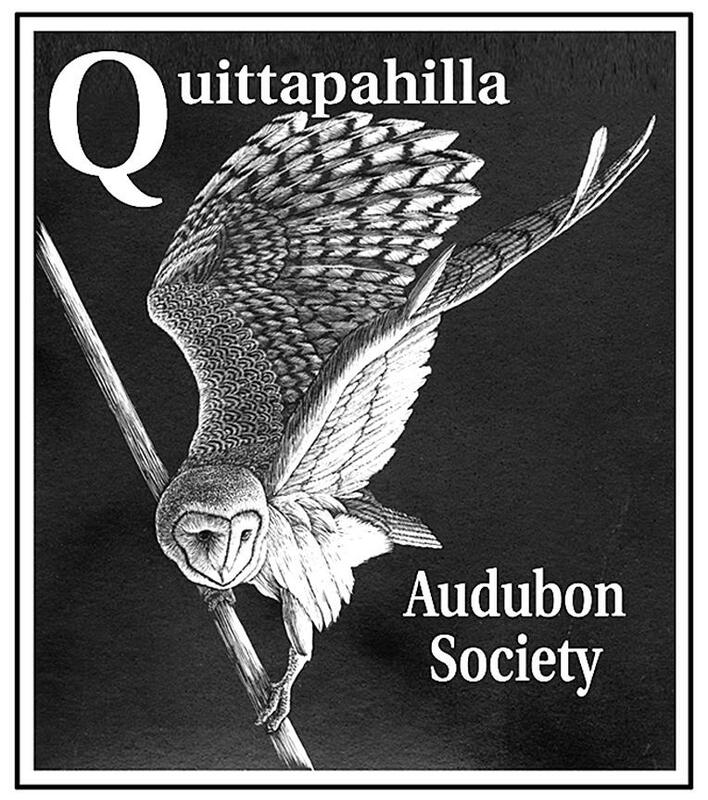 Quittapahilla Audubon is a local chapter of the National Audubon Society serving Lebanon County and parts of the surrounding counties of Dauphin, Berks, and Lancaster in Pennsylvania. For more information about our activities please explore the links on this page. Our programs and field trips are open to the public and we hope to see you soon! The QAS Banquet registration form is here! Due to a scheduling issue, we had to change the banquet program that was listed in our Winter newsletter and the original reservation form (Vultures). We will now be wecoming Ralph Buckles to present "Birds, Beed and Native Plants." Cick the link above to visit Audubon's Native Plants Database and discover the best native plants to bring more birds to your yard. Help Hawk Mountain save farm friendly raptors by reporting sightings of Barn Owls, American Kestrels, Shotrt-eared Owls and Northern Harriers. Follow the link above for more information and to report sightings. Sign up for the QAS-Announce mailing list to receive e-mail reminders for our public meetings, field trips and other announcements of interest. The QAS-Announce list is run through Yahoo!Groups. Click on the link below to sign up. The Lebanon Valley Conservancy Richard H. & Karen R. Light Memorial Scholarship. Click the link above to review the requirements and application form. QAS has grant funds available for environmental conservation projects. See the "Environmental Grants" section in the menu on the right side of this page for more information. Our Winterl 2018/2019 newsletter is now available! See the "Newsletters" link on the right side of this page. We have QAS baseball caps and bandannas for sale. Get yours at our next public meeting. The Mount Gretna Bird Club hosts a nature walk every Friday morning. Meet at 9:00 AM at the Chatauqua parking lot off Route 117 (weather permitting). A native American term meaning "spring that flows from among pines"